Nature's Beauty by LHN - I LOVED stitching this piece!! I see many more LHN WIPs in my future! 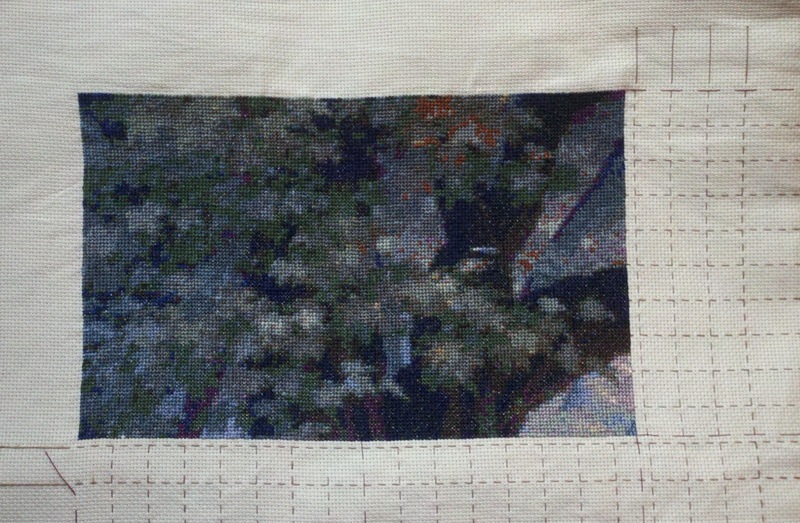 Cathedral by HAED - Finished page 2! Hoping my next WIPocalypse update brings a few more pages of this piece! Wow, those are awesome! I'm sure whoever is getting the gift will be most grateful. Beautiful work. I had two finishes today! I haven't gotten around to posting them up yet, but will be soon. 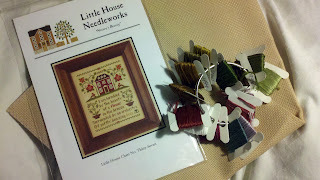 I'm taking a short break this evening because I kind of burned myself out to get a charity quilt square done. I can't wait to work on something of my choosing next! 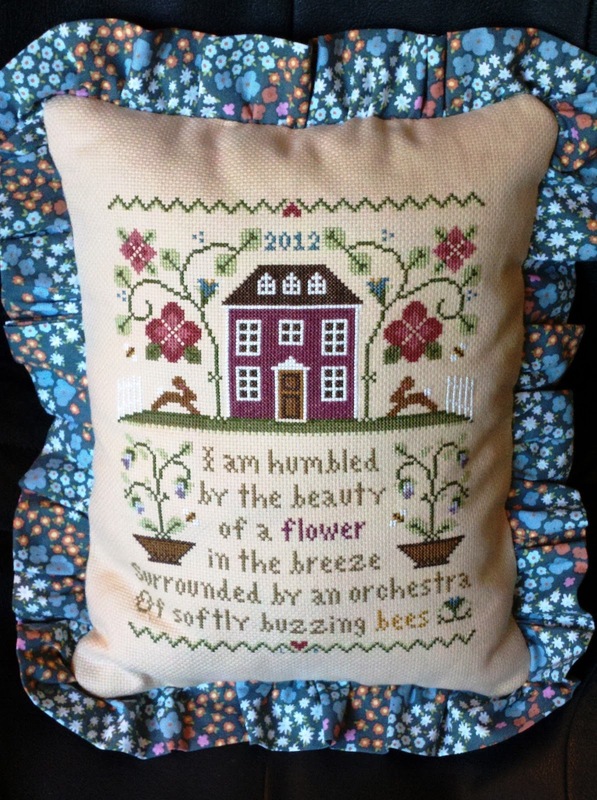 Your Little House pillow turned out great. 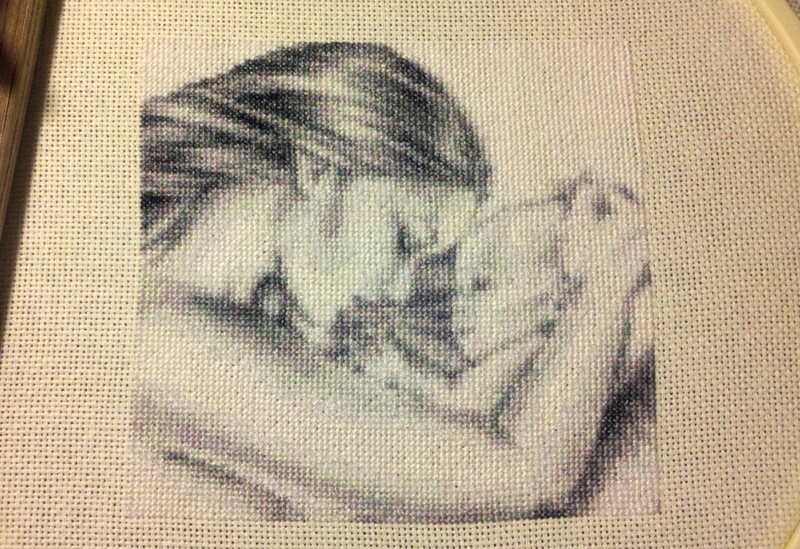 The mother and child piece is beautiful...amazing. Oh that little pillow is beautiful. Love the fabric you used for the back. Good luck with your projects, you are in inspiration to me. They all look lovely. Motherhood is gorgeous! 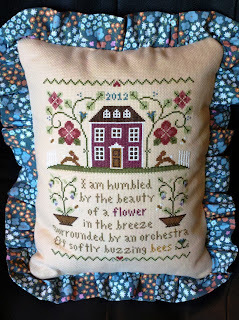 Your little house pillow is gorgeous. I am sure the receipent of Motherhood will be thrilled, it is stunning. Great progress on Cathedral. Congratulations on finishing Motherhood and stunning work on Cathedral! Looks amazing, lesli! You've done a great job! Love Motherhood, awesome... Congrats on your 2nd HAED finish. Great Stitching Lesli. You got so much done on Cathedral. Its looking fantastic. Congrats on the HAED finish. Great Update. Congrats on the 2nd HAED finish. That's a gorgeous pattern. 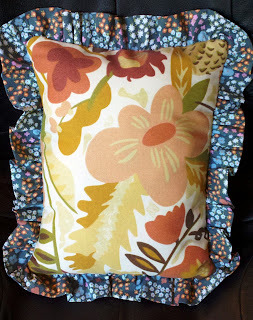 Your Little House Pillow turned out fabulous! I love doing Little House Needleworks patterns also. Your other stitching looks great also. It all looks great but I really love the finishing job you did on that LHN! It's just lovely! Love the finish you made for your LHN!!! It's perfect!!! Great progress on your HAED's too!! Congratulations on another HAED finish! Motherhood is absolutely stunning. And you've made wonderful progress on Cathedral too. Your motherhood gift is amazing - what a great present. And good going with the other wips. You have done some amazing progress. QS Motherhood is devine! beautiful work :D I love your finishes they look stunning.